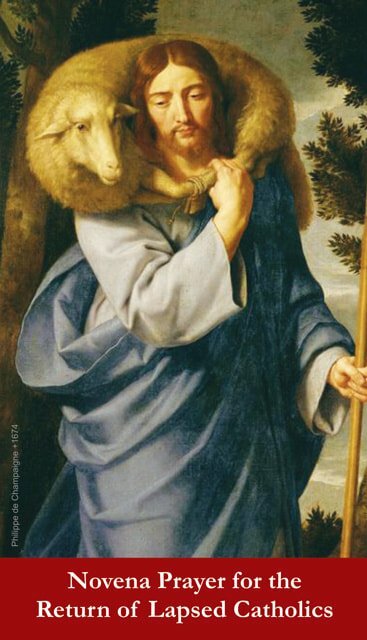 O Good Shepherd, you never cease to seek out the lost, to call home the stray, to comfort the frightened, and to bind up the wounded. I ask you to bring (mention names) back to the practice of the Faith, and to remove all obstacles that prevent them from receiving your abundant mercy, which flows sacramentally through the heart of your holy Church. Through the intercession of Mary, the Mother of God, their Guardian Angel(s), their Patron Saints and the ever-prayerful St. Monica, may you pardon their sins and unshackle them from whatever hinders their freedom to come Home. 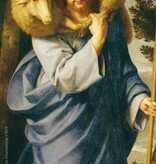 For you, O Good Shepherd, loved us to the end and offered yourself to the Father for the salvation of all. Amen.